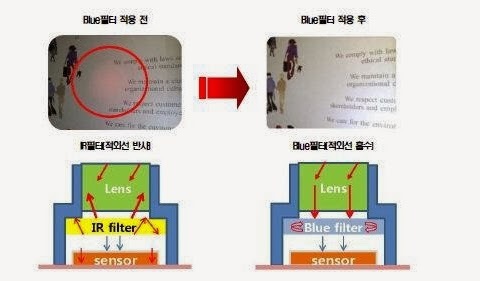 Korea IT News, Digitimes report that so called "blue filters" used in high-resolution BSI camera modules are in short supply. The "blue filters" are made of IR-absorbing material that can keep its IR stopping efficiency in wide acceptance angle typical for modern BSI sensors. 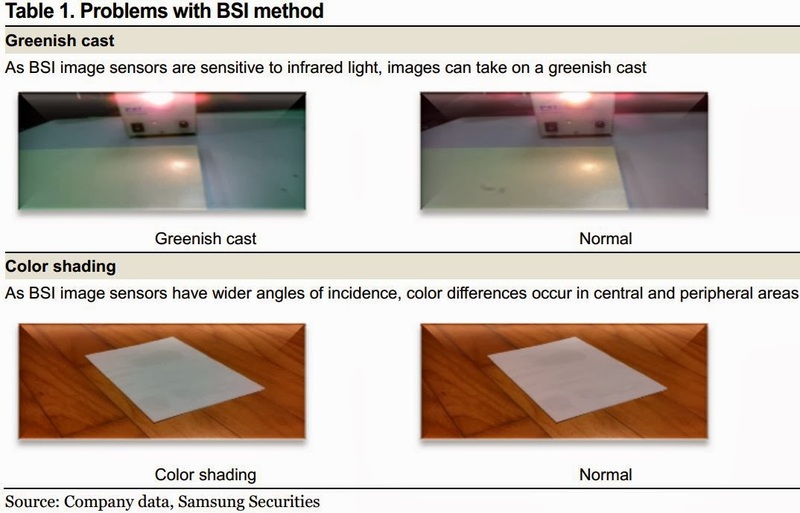 Older FSI-based modules used multi-layer IR cut filters which are more sensitive to the angle. Korean makers OPTRONTEC, OPTRONTECH, Nanos and LMS have entered the market dominated by Japanese Asahi Glass and German Schott and drive the prices down. Eric Fossum and Donald Hondongwa submitted Pinned Photodiode review paper for publication in open-access IEEE Journal of Electron Devices Society, J-EDS. "A Review of the Pinned Photodiode for CCD and CMOS Image Sensors"
Abstract: The pinned photodiode is the primary photodetector structure used in most CCD and CMOS image sensors. 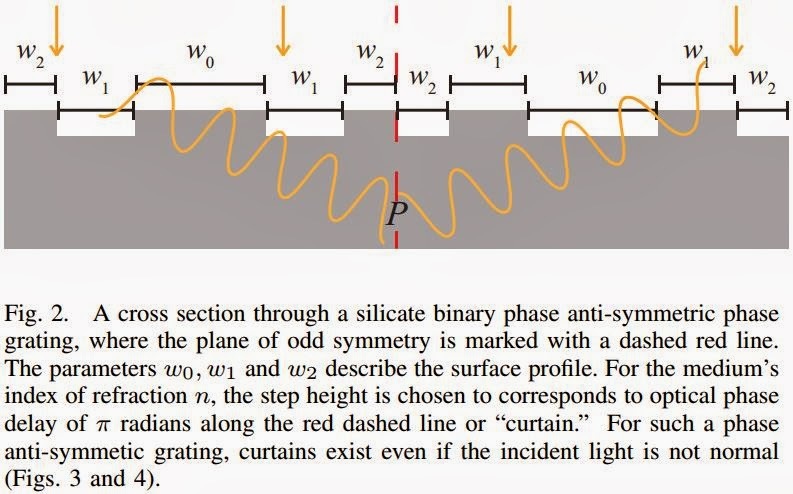 This paper reviews the development, physics, and technology of the pinned photodiode. Vision Research announces the Phantom v2010. The new 1MP camera is able to capture more than 22,000fps at full resolution or 1280 x 800. 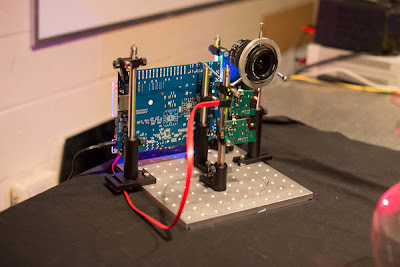 The camera is based on a custom-designed image sensor having 28um pixels. The pixels are said to have 12b "bit depth", not sure what it means. The sensor has a global shutter with fastest speed of 1us (standard version) or 500ns (export-controlled version). The physical size of the sensor is 35.8mm x 22.4mm. Q: What does the acquisition mean for TowerJazz customers? A: The JV will provide TowerJazz customers with access to a 12 inch fab, enabling the company with a cutting edge technology roadmap on top of its current offering, and will include 65nm and 45nm CMOS and 65nm advanced image sensor production flows. 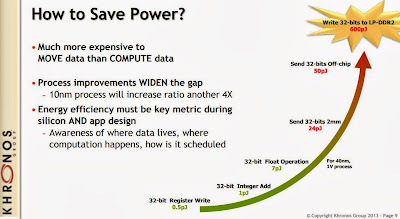 Furthermore, the JV is expected to increase TowerJazz’s technology portfolio by providing multiple additional specialty flows, including Panasonic’s High Definition FSI – a world famous CIS benchmark technology for high quantum efficiency, its world class low dark current CIS technology, and its high voltage SOI based power management technologies. Digitimes reports that Galaxycore has a 60-70% market share on Chinese image sensor market and now plans to diversify into LCD driver ICs. Business Wire: Toshiba starts sample shipments of the previously announced TCM9518MD stereo camera module for smartphones, tablets and other mobile devices, on January 31, 2014. 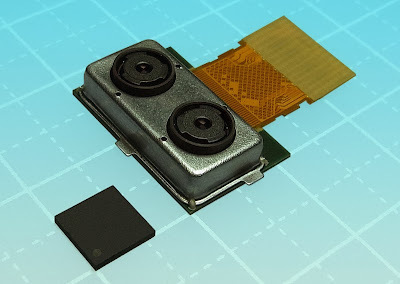 The new product is said to be the industry's first dual camera module to incorporate twin 1/4-inch 5MP sensors, which simultaneously outputs recorded images and depth data. The depth data is calculated by a dedicated image processing LSI which measures and appends the depth data to objects in the image. Used in combination with customers' applications, the module supports new photo functions, including focus and defocus, and even allows objects in photographs to be extracted and erased. The image processing LSI generates 13MP images by upscaling images taken by the twin 5MP cameras, realizing a lower module height than that of conventional 13MP camera modules. Business Wire, Reuters: TowerJazz and Panasonic sign a definitive agreement to create a joint venture (JV) to manufacture Panasonic’s products. 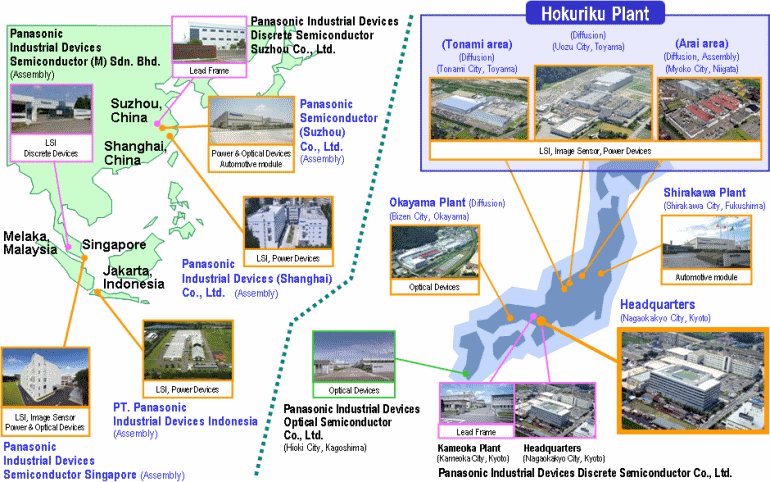 Panasonic will transfer its semiconductor manufacturing process and capacity tools of 8-inch and 12-inch wafers at its Hokuriku factories (Uozu, Tonami and Arai) to the JV, committing to acquire its products from the JV for a period of at least five years, and will transfer to TowerJazz 51% of the shares of this JV. The JV is expected to increase TowerJazz’s technology offerings, including Panasonic's High Definition FSI technology known for high QE and low dark current. High Definition FSI is said to enable the use of FSI even for small pixels. It consists of light separation walls combined with a light pipe structure that funnels the light into the individual pixels with minimal light loss. This technology provides a high QE, and wide acceptance angles that helps in preventing shading at the periphery and improves color separation leading to true and vivid colors. The dark current performance CIS technology is said to be one of the best in the industry, not only in the average very low values of dark currents even at elevated temperatures, but also with extremely small tail of high dark current pixels, known as hot pixels. As a result, Panasonic technology allows excellent images at low light conditions with no hot pixels in the image. This technology is well suited for high end DSLR type cameras. Russell Ellwanger, TowerJazz CEO, commented, "We are honored to place our name side by side with Panasonic Corporation to create an innovative joint venture that provides high capacity, highest quality, multiple world leading analog platforms and, as well, 300mm advanced technology nodes. This partnership brings together two leaders – Panasonic, an acknowledged analog components and systems leader, and TowerJazz, a recognized analog foundry leader - to create a company that will serve and grow the analog foundry space as no existing single foundry company can." For its 51% equity holding in the JV, TowerJazz will issue to Panasonic ordinary shares in the value of approximately $8M, based on TowerJazz average shares value during March 2014. As a result of holding its ordinary shares, Panasonic will become a minority stakeholder in TowerJazz. The JV balance sheet assets will include, among others, the cap-ex tools of the three fabs, cash in the amount of approximately $40M to be invested by Panasonic and work in process (inventories) manufactured at Panasonic fabs before the closing date. Following this transaction, TowerJazz will rationalize its Japanese business, which may include fab consolidations between TowerJazz's Nishiwaki facility and the JV's facilities, and to this end, TowerJazz is evaluating potential ventures for the Nishiwaki facility. the 8-inch Nishiwaki plant has been acquired from Micron in 2011. It's used to manufacture Aptina sensors in 90nm process. Recently, Tower started to offer a foundry CIS process at Nishiwaki fab too. IEEE Spectrum: ESA Gaia space observatory equipped with 106 e2v's CCDs with the total area of 0.5m x 1m and combined resolution of 1 Giga-pixel has been launched to space on a five year mission to map the galaxy. This focal plane array has been designed and built by Astrium and will contain a mosaic of 106 large area, high performance Charged Coupled Device (CCD) CCD91-72 image sensors, which are custom designed, manufactured and tested by e2v. 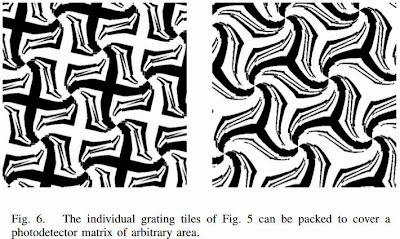 The CCD package is 3 sided buttable, to minimise the dead space between CCDs when they are tiled together in the mosaic. 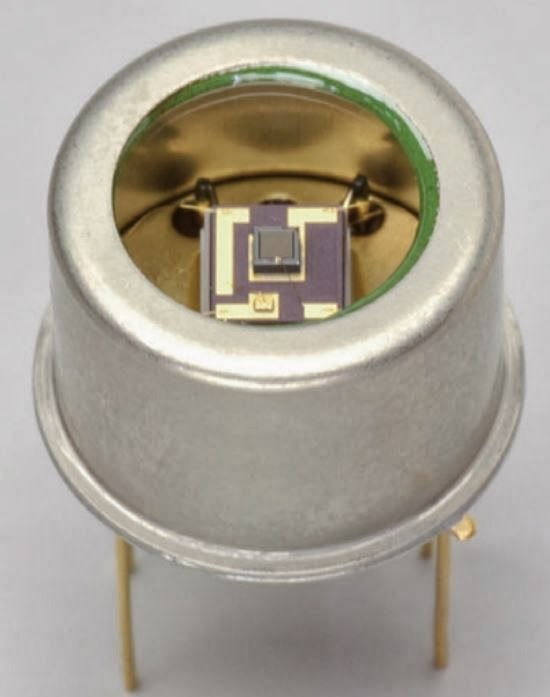 The CCDs are of BSI type, so this becomes not only the largest sensor camera, but also the largest BSI camera in space. 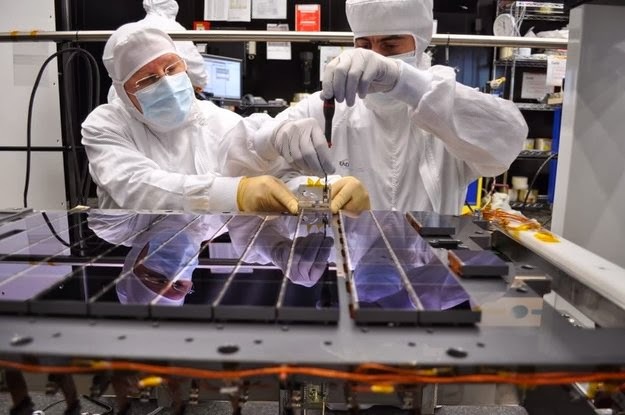 Hans Faulks, General Business Unit Manager for Space and Astronomy commented: "We are immensely proud and excited to finally see our image sensors embark on this mission. All the hard work, dedication and expertise that has been put into our sensors and into the mission will finally come to fruition. Our products will now play their part in history as we help increase our understanding of our universe." PR Newswire: OmniVision and Gionee, a smartphone manufacturer in China, have jointly developed a 16MP camera for Gionee's flagship smartphone using OmniVision's OV16825 CameraChip sensor (announced in 2012). "OmniVision continuously strives to work with technology partners like Gionee that share our passion for innovation and exceeding consumer expectations. We're delighted to see the OV16825 built into a cutting-edge smartphone like the ELIFE E7," said Raymond Wu, president of OmniVision. "This smartphone reflects Gionee's deep understanding of customer needs, as well as its close ties with world-class technology leaders like OmniVision, " said Lu Weibing, CEO of Gionee. The 1/2.3-inch OV16825 is capable of operating in full-resolution 16MP video at 30fps, 4K2K (3840 x 2160) video at 60fps, and 1080p HD video at 60fps with extra pixels for EIS. The sensor is based on 1.34um OmniBSI-2 pixels. The OV16825 is currently in volume production. The UK Open University’s Centre for Electronic Imaging (CEI) and e2v ongoing collaboration in image sensor technology is set to benefit from £1M sponsorship over the five years. The sponsorship of the CEI helps support the group’s research on imaging devices for science applications such as the European Space Agency’s (ESA) Gaia mission, to be launched this week, and ESA’s Euclid mission to probe the ‘dark’ Universe. The collaboration also actively encourages the free exchange of knowledge and ideas through regular e2v staff visits, technical workshops and the supply of devices and equipment to support the research. Professor of Electro-Optics at The Open University, Andrew Holland, said: "The CEI has worked closely with e2v in imaging sensor research for years, and the collaboration has been instrumental in the growth of the group." The CEI 8 PhD students, predominantly funded by the Science and Technology Facilities Council (STFC) and the e2v sponsorship on the Collaborative Awards in Science and Engineering (CASE) programme, work in imaging sensor research in support of future space missions and science experiments. The sponsorship also funds the training of e2v staff though continuing professional development workshops held at The Open University. This training is also offered to other space industries as part of their internal continuing professional development (CPD). Business Wire: Global Semiconductor Alliance (GSA) awards Ambarella with the award for the Favorite Analyst Semiconductor Company of 2013. Semiconductor financial analysts from top-tier firms select their favorite company based on historical as well as projected data such as stock performance, revenue growth, net profit margin, revenue forecasts and product performance. "It is an honor to receive the GSA’s 2013 award for Favorite Analyst Semiconductor Company, our sixth GSA award," said Fermi Wang, CEO of Ambarella. "We have experienced a year of continued growth in wearable sports, video surveillance and automotive camera markets as well as strong performance in our broadcast infrastructure business. In the year ahead, we will continue to partner closely with our customers to successfully bring their innovative products to market." Apple PCT application WO2013/184414 "Cover for Image Sensor Assembly with Light Absorbing Layer and Alignment Features" by Terence Tam and Jeffrey Gleason proposes package cover where "the light absorbing layer 124 includes one or more openings 126 that provide a line-of-sight view 128 of two opposing corners of the image sensor die 110 to facilitate placing the cover 120 over the upper surface 108 of the package 102 in registry with the image sensor array 112." Reuters, The Telegraph: CSR announces that it will no longer develop new ISPs for digital cameras due to the market weakness and smartphone cameras competition. CSR has entered the camera processor market with acquisition of Zoran in 2011. 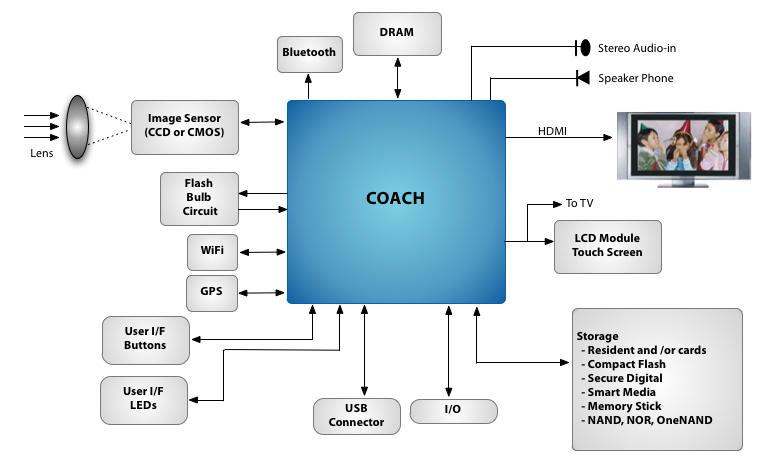 Its COACH image processor line used to be popular among the major digital camera makers. The line has contributed $36M of revenue in the first nine months of the year. About 200 jobs will be eliminated by Q2 2014 as a result of the re-structuring. SonyAlphaRumors quotes "very trusted sources" saying that Sony develops a 54MP sensor with an integrated phase-detect AF to appear in cameras in 2015. "This sensor is also the first that has not been designed with a classic RGB (Bayer) pixel structure." It depends on the competition "whether Sony will launch the camera with the new sensor in late 2015 or during 2016." Sony is known by its experiments with color patterns. In 2003 it added Emerald color to RGB color filter array. In 2010 Sony announced Cinealta super-35mm image sensor with non-Bayer color filter, not to talk about ClearVid 45deg-rotated Bayer pattern used in many Sony consumer and professional video cameras, and older cameras using other exotic patterns. 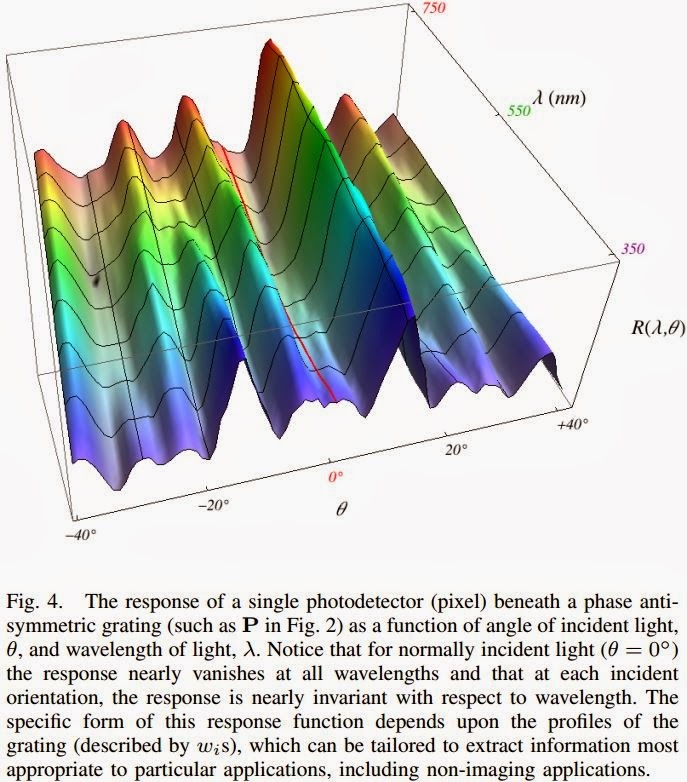 "An 83dB-dynamic-range single-exposure global-shutter CMOS image sensor with in-pixel dual storage"
by Sakakibara, M. ; Oike, Y. ; Takatsuka, T. ; Kato, A. ; Honda, K. ; Taura, T. ; Machida, T. ; Okuno, J. ; Ando, A. ; Fukuro, T. ; Asatsuma, T. ; Endo, S. ; Yamamoto, J. ; Nakano, Y. ; Kaneshige, T. ; Yamamura, I. ; Ezaki, T. ; Hirayama, T.
Marketwired: Ziptronix announces an agreement with Tezzaron Semiconductor and Novati Technologies, a wholly owned subsidiary of Tezzaron, to sell its 3D IC development lab to Tezzaron, to be operated by Novati. Due to widespread adoption of direct bonding in volume manufacturing, Ziptronix no longer has to dedicate its resources to supporting a lab for commercialization of its patented ZiBond and DBI technologies. The deal includes a strategic agreement with Tezzaron that provides Ziptronix's lab customers continued access to the facility. Triange Business Journal adds that Novati takes over 11 Ziptronix employees. The six remaining Ziptronix staffers moved from the lab with the headquarters in Raleigh, NC. Ziptronix's work will still be conducted at the facility as part of the deal. The 11 employees will continue "to do what they always did, but they’re working for Novati." "ZiBond has been in high-volume manufacturing for several years now and DBI is well on its way into production," said Dan Donabedian, CEO of Ziptronix. "Quite simply, as the market is now convinced of the value of our technology, our needs have shifted. As we look to accelerate 3D integration, our focus is increasingly on addressing the needs of the maturing and emerging markets that are adopting our technology via licensing." Ziptronix's DBI (Direct Bond Interconnect) is said to achieve over 100,000,000 electrical connections per square centimeter; a significant increase over the ~100,000 connections per square centimeter density achieved with through-die vias used in other 3D interconnect approaches. DBI is said to be considered by several manufacturers of next generation image sensors to directly connect control electronics and memory to the pixel sensing layer. 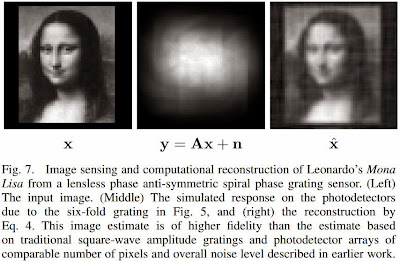 This can enable direct control of the individual pixel with extremely short connections. Business Wire: Tokyo, Japan-based THine announces a superior cost-performance ISP THP7312 supporting up to 16MP cameras, such as smartphones, in-vehicle cameras, drive recorders, security cameras, network cameras, and sports cameras. 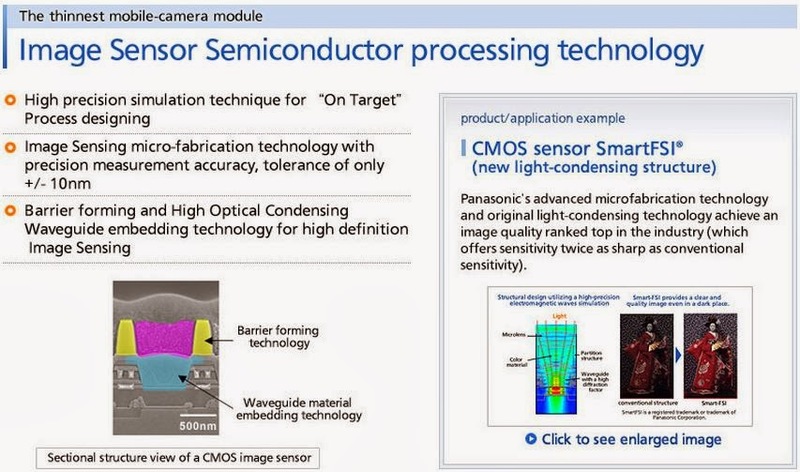 "It can generate superior quality images for each CMOS image sensor, since THine has collaborated with major sensor makers." THP7312 offers video image stabilizer function, HDR in full HD video and stills modes and simultaneous capturing of still images and movie images. Because of no need of internal frame memories, THP7312 is suitable for battery-operated handsets, realizing small size, lower power consumption, and higher speed. THP7312 supports not only RGB but also IR. This new feature enables to offer additional performance for such applications as health-care or beauty-care application for smartphones, drive recorders in night scene, or security cameras that require gesture or pattern recognition under insufficient light. THine offers an auto-defogging image function for drive recorders to read and save front vehicles’ number plate more clearly in PM2.5 or fogging environment. THine will deliver the samples from December 2013, with mass production starting in Q2, 2014.
nimble pmd - gesture middleware (SDK) which the customer can use to implement his own gesture controlled application. There are predefined gestures available and customized gestures can be defined based on the SDK. nimble dashboard - an implementaton of Windows 8 gesture control, based on the nimble pmd gesture middleware. it delivers a full 3D hand model, not just fingertips or orientation. it enables convenient interaction with a user´s arms comfortably resting on the desk. The user is not required to lift the complete arm to start interacting. This lowers the switching cost between standard interaction and touchless interaction. Albert Theuwissen continues his series of posts "How to Measure Full Well Capacity". The recent post discusses various discrepancies, such as why a full well from linearity measurements can differ from the one derived from variance measurements. Gobenewswire: Ambarella announces its quarterly results. Revenue for the quarter was $46.0M, up 29% from $35.7M a year ago. For the nine months ended October 31, 2013, revenue was $117.6M, up 31% from $89.5M for the nine months ended October 31, 2012. GAAP gross margin was 63.7%, compared with 64.5% for the same period a year ago. Cash and cash equivalents at the end of the quarter were $128.1M. What can the foundry contribute to advanced image sensor design and manufacture? What do consumers really want from gesture control, and what are the technology routes to getting there? What on earth shall I do with all these pixels? Business Wire: TA Associates, a global growth private equity firm, has agreed to acquire CMOSIS. Terms of the transaction were not disclosed. 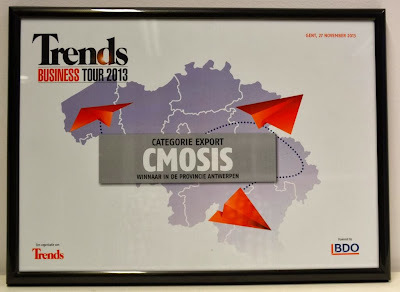 CMOSIS employs over 60 people and is based in Antwerp, Belgium. With financial backing and support from Capital-E Arkiv, CMOSIS was founded in November 2007. 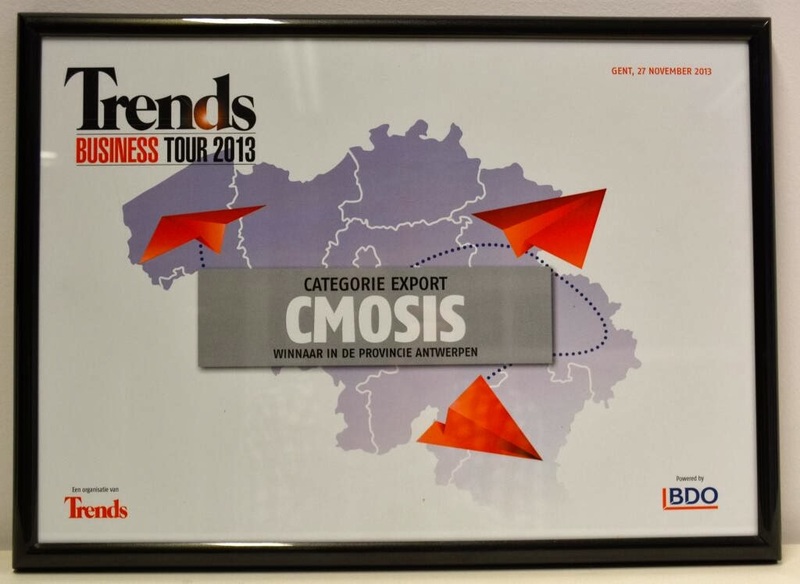 CMOSIS broadened its capital base and raised further growth capital in 2009 from ING Corporate Investments (Belgium); ING Activator Fund, the Arkimedes Investment Fund of ING Belgium investing in promising Flemish SMEs; and Participatiemaatschapij Vlaanderen (PMV). Luc De Mey, Chairman and CEO of CMOSIS, commented: "This transaction will allow CMOSIS to continue growing as an independent company with the support of TA Associates, a strong financial partner that has an impressive track record in building technology companies and is committed to supporting our future growth. I would like to take the opportunity to thank Capital-E, ING and PMV for their strong support in growing CMOSIS." J. Morgan Seigler, a Principal at TA Associates (UK), LLP who will join the company’s Board of Directors, commented: "The CMOSIS management team has demonstrated expertise in building image sensor businesses. We are excited to partner with such experienced and successful entrepreneurs. CMOSIS is profitable, with a highly reputable brand, attractive client base, and impressive and accelerating growth." 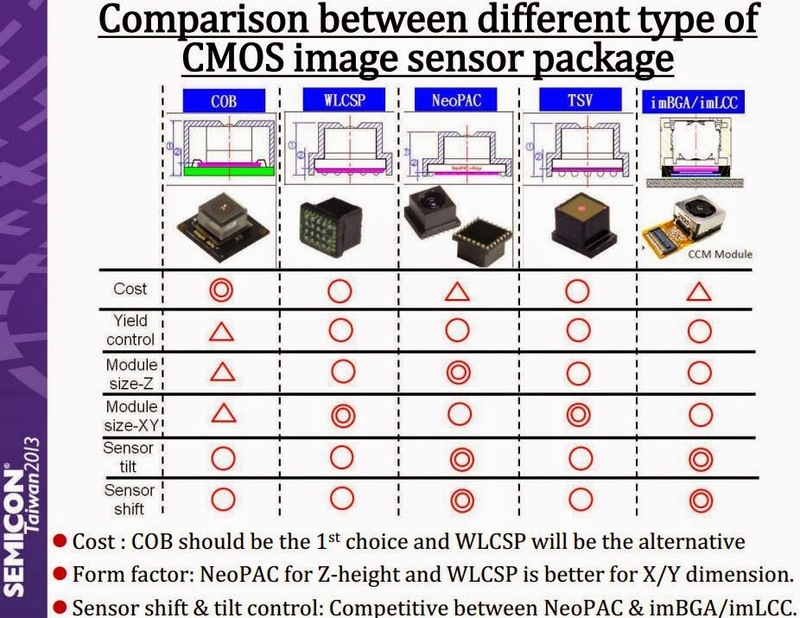 Ajit Nedungadi, a Managing Director at TA Associates (UK), LLP who will also join the company’s Board of Directors, commented: "CCD has traditionally been the dominant technology in the high-end image sensor market that CMOSIS serves. The migration to CMOS is being driven by a lower cost of manufacturing, lower power requirements, higher speeds and improved sensor resolution. This accelerating market shift should continue to prove favorable for CMOSIS." Seeking Alpha, Bloomberg, Wall Street Journal quote Nikkei report that Sony is in talks to buy Renesas' Tsuruoka plant in Yamagata Prefecture and re-target it for CMOS sensor production. "The two sides are expected to sign a memorandum of understanding as early as the beginning of next week." The expected price of the fab is 10 billion yen ($96M). The article says that Sony controls 30% of the image sensor market. Sony has said it gets 77% of its semiconductor sales from image sensors. PR Newswire: Omnivision's revenues for the quarter were $397.2M, as compared to $373.7M in the previous quarter, and $390.1M a year ago. GAAP net income in the second quarter of fiscal 2014 was $26.3M, as compared to net income of $23.1M in the previous quarter, and $10.3M a year ago. GAAP gross margin for the quarter was 18.8%, as compared to 17.4% for the previous quarter and 16.6% a year ago. The increase in gross margin reflects production cost improvements in some of the high-volume devices, coupled by a decrease in allowance for excess and obsolete inventories and an increase in revenues recorded on the sale of previously written-down inventory. The Company ended the period with cash, cash equivalents and short-term investments totaling $265.6M, an increase of $25.1M from the previous quarter. "In the second quarter of fiscal 2014, OmniVision grew revenues in the midst of a slowing smartphone market and intensifying competition," said Shaw Hong, CEO of OmniVision. Based on current trends, the Company expects revenues for the next quarter will be in the range of $310M to $340M, below analyst's average expectation of $399.9M (Reuters). Seeking Alpha publishes Omnivision's earnings call transcript. Azosensors: The newly appointed ULIS CTO, Chris Tisse gives an interview to Azosensors talking about a new generation of low-cost and low-power thermal sensors and their possible applications. Q: "What will be the key customer demands for the infrared imaging market over the next five years?" A: "I believe that the main challenge for uncooled IR detectors will be to meet the SWaP-C (Size, Weight and Power - Cost) requirements for embedded applications. 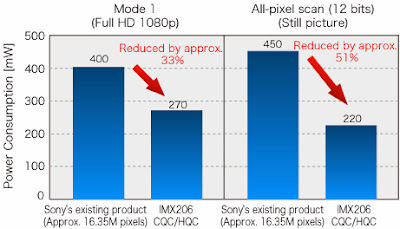 Another key customer demand will be the gradually increasing pixel count (i.e., the amount of pixels in the image)." Korea IT News reports that Samsung Electronics develops a camera module with 20MP resolution, planned to reach the market in 2H 2014. 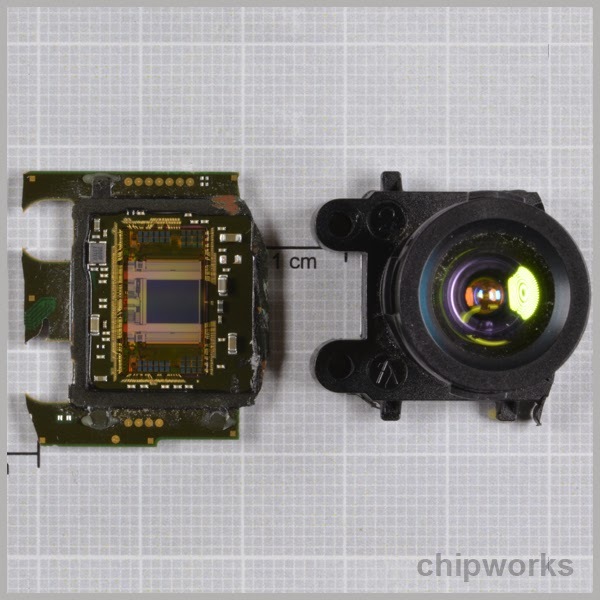 It's not clear who is the sensor supplier for this camera module. So far Samsung LSI is reported to productize 13MP and 16MP sensors. Azosensors: CMOSIS is demonstrating its 12MP/300fps version of its CMV12000 sensor, which is now available in sample quantities. High volume production will ramp up from June 2014 onwards. When first announced in 2010 the speed was supposed to be 300fps, but the production version had 150fps. "We are most happy to have finally achieved the outstanding performance of the CMV12000 in terms of its exceptionally high frame rate of 300 fps," said Lou Hermans, COO of CMOSIS. "Our strong technology focus and dedication to this development enables us to continue to offer new or improved CMOS sensor products on a regular basis." "There seems to be something else going on though, since we have three laser diodes, and the filters over them are patterned with what looks like a grid; maybe the diodes are toggled in sequence, and a grid is projected, to help in the motion detection part of the system." Business Weekly: Cambridge Mechatronics announces that its "smart metal" OIS actuators passed reliability tests: "The suite of test specifications stipulated by our module integrator and handset customers include several individual and combination tests in line with industry standards - including drop testing, extended operation cycles and environments at the extremes of high and low temperature. The completion and availability of this test data is a key milestone in the market readiness of CML's latest product offering, allowing our customers to confidently design our actuator into their own products. This latest news is in line with CML's plans for our OIS lens motors to be shipping inside smartphone handsets in early 2014." Business Korea published an article on Samsung efforts to capture mobile CIS market. TSR predicts that Samsung will take the lion’s share of the mobile CIS market this year, capturing 24.5% market share by supplying 548.325M CIS units. Sony’s supply volume and market share are estimated at 410.84M units and 18.4%, respectively. For now Samsung is focusing on mid-end and high-end products of less than 8MP. Although it does produce those that can capture eight or higher megapixels, these account for less than 20% of the total sales volume. Meanwhile, products of 8MP to 13MP represent over 70% of Sony’s total sales. "Sony’s CISs are at least 1.5 times more expensive than those of Samsung Electronics and OmniVision. Almost all of the high-end smartphones in the market are equipped with CISs manufactured by Sony," said unnamed market expert. Sony’s brand power is said to be greater than Samsung’s when it comes to high-price products of 8MP to 10MP. NikkoIA SAS announces the grant of several collaborative development programs in 2013, totaling more than 1.5 million Euros over the next 2 years for “Organic Semiconductors for NIR Optoelectronics” through the several European research programs, including FP7 Framework Programme. This project will support the development of new organic materials sensitive in the NIR spectrum with tunable sensitivity windows. 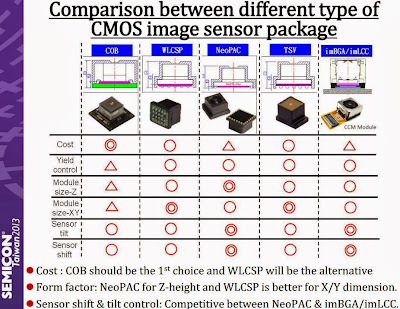 It complements the other granted programs which are more product-oriented and dedicated to the development of organic image sensors based either on a-Si active matrix TFT backplanes or silicon CMOS substrates, and targeting specific applications such as biometrics, medical and security. The combination of all granted programs wraps up NikkoIA’s comprehensive development strategy and secures its roadmap objectives. Reuters, Bloomberg, Globes: Panasonic is reported to sell its three Japanese fabs to TowerJazz. 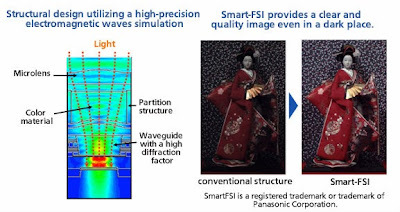 It's not immediately clear whether Panasonic sells its image sensor plants. "The companies are negotiating the size of the stake and transfer of the factories' workers, one of the sources said. The three chip plants in Japan, with about 2,500 workers, have been fully depreciated and had a combined book value of 42.2 billion yen ($416 million) as of March 31. Panasonic said nothing had been decided. Officials at TowerJazz's headquarters could not immediately be reached." "The plants are likely worth more than 10 billion yen ($99 million), and a final decision may come as soon as next month." EETimes: Piet De Moor, Program Manager for Specialty Imagers at Imec published a view on CMOS vs CCD for space applications: "While CMOS has become the standard in consumer electronics, the space community is still mainly relying on CCD technology. 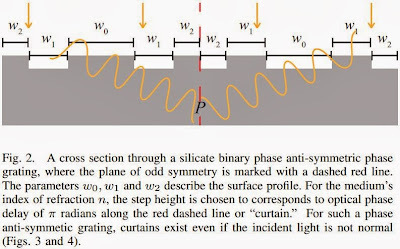 In part, that's because backside illumination processing for CMOS imagers is almost uniquely developed for 300mm wafers [probably Piet meant Imec process offerings here - ISW], whereas high-end space imagers typically use 200mm wafer technologies. However, the space industry would well be served with a customized high-end backside illuminated CMOS imager processing platform on 200mm wafers. Given the strategic value of Earth observation, it is not surprising that governments on both sides of the Atlantic are currently supporting local initiatives in this area." MIT News: Ramesh Raskar, Achuta Kadambi, Refael Whyte, Ayush Bhandari, Christopher Barsi from MIT and Adrian Dorrington and Lee Streeter from the University of Waikato in New Zealand presented a new ToF camera at SIGGRAPH Asia 2013: "Coded Time of Flight Cameras: Sparse Deconvolution to Address Multipath Interference and Recover Time Profiles." "Using the current state of the art, such as the new Kinect, you cannot capture translucent objects in 3-D," says Achuta Kadambi. "That is because the light that bounces off the transparent object and the background smear into one pixel on the camera. Using our technique you can generate 3-D models of translucent or near-transparent objects." Changing environmental conditions, semitransparent surfaces, edges, or motion all create multiple reflections that mix with the original signal and return to the camera, making it difficult to determine which is the correct measurement. The new ToF camera uses an encoding technique commonly used in the telecommunications industry to calculate the distance a signal has travelled. "We use a new method that allows us to encode information in time," Ramesh Raskar says. "So when the data comes back, we can do calculations that are very common in the telecommunications world, to estimate different distances from the single signal." 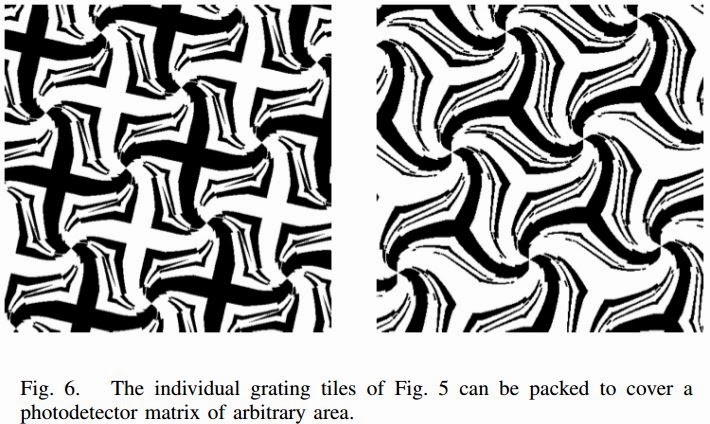 "By solving the multipath problem, essentially just by changing the code, we are able to unmix the light paths and therefore visualize light moving across the scene," Kadambi says. 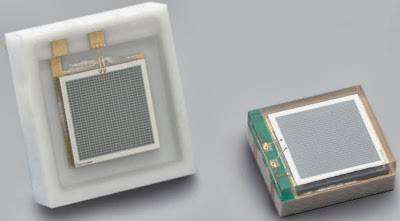 Business Wire: Toshiba will start mass production of T4K71, a 1.12µm, 1/7.3-inch 1080p60 BSI image sensor with color noise reduction (CNR), on December 2, 2013. Initial announcement in April 2013, stated production start in September, so it's almost as scheduled. Business Wire: Dongbu HiTek has begun volume production of 5MP Image Sensor for Superpix Micro Technology of Beijing, China. With patented SuperPix pixel signal processing and SuperImage image processing techniques, Superpix anticipates strong demand for its 5MP CIS devices in China’s mid-range to low-end smart phone market segments. "We continue to expand our foundry relationship with Superpix, and are now on track to begin developing its 8MP CIS chips early next year so that volume production can also begin next year," said Jae Song, Dongbu HiTek EVP of marketing. He noted that his company’s foundry relationship with Superpix has progressively developed from manufacturing QVGA/VGA chips to the 2MP–to-8MP range. According to Maybank, the Chinese smart phone market in the mid-range to low-end segment is forecast to grow from some 216M units shipped this year to about 400M units in 2015, thereby exceeding 85% growth over the two year period. In another forecast from iSuppli, smart phones that feature 5MP resolution and above will substantially command this segment’s growth as they replace 2M resolution cameras, shipping 187M units next year and 288M units in 2015, representing a year-over year growth of more than 50%. Imec presents a prototype of a time-delay-integration (TDI) image sensor based on imec’s proprietary embedded CCD in CMOS technology. Imec developed and fabricated the sensor for the French Space Agency, CNES, which plans to utilize the technology for space-based earth observation. The prototypes were fabricated using imec’s 130nm process with an additional CCD process module. A charge transfer efficiency of 99.9987 % has been measured ensuring almost lossless transport of charges in the TDI array. Globes reports that the deal was finally closed on Friday, Nov. 22. Update: Primesense confirms the acquisition in an email to EETimes-Europe: "We can confirm the deal with Apple. Further than that, we cannot comment at this stage." 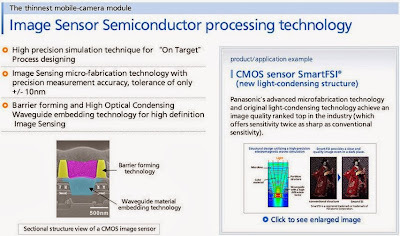 Rambus announces that its paper "Lensless Ultra-Miniature CMOS Computational Imagers and Sensors" by David Stork and Patrick Gill won Best Paper Award at Sensorcomm 2013, held in Barcelona, Spain in August 2013. Rambus' "method relies on novel special phase anti-symmetric spiral phase gratings, which overcome prior limitations and afford new functionality. Moreover, our new sensor architecture enables the construction of new classes of ultra-miniature sensors whose output is an estimation of some property of the scene (e.g., visual motion) or a decision (e.g., face detection or barcode reading)." "These imagers promise to be smaller (lower physical volume) than any existing lens-based imagers of comparable resolution, very inexpensive, and customizable to both imaging and a wide range of sensing and image measurement tasks."